The Delaware Municipal Electric Corporation (DEMEC) sponsored and hosted rate design training on March 12th for almost 25 local public power utility staff members. 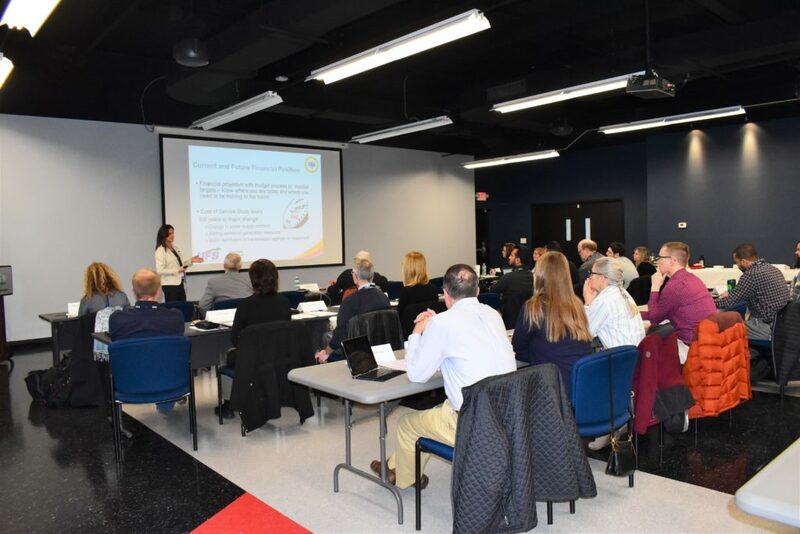 The training on “Basic Cost of Service: Concepts and Rate Planning” explored the ins and outs of cost of service – from basic concepts to leveraging data for decision-making. Dawn Lund, Vice President of Utility Financial Solutions, LLC, taught how to determine revenue requirements and key financial targets and relate them to cost of service. Attendees learned how to develop a long-term rate plan and use financial targets to determine customer rates, borrowing needs, and capital improvements. After completion of this course, attendees were more familiar with common Cost of Service terminology and methods. From there, attendees are better positioned to apply Cost of Service results in rate structures for their utilities and explain rate changes to customers, Boards/Councils, and other stakeholders. DEMEC and its members recognize the importance of rate design and plans to continue providing more training opportunities for our members as they seek to balance the cost to operate the utility with high quality electric service and keep rates for customers as low as possible. At the request of our members, DEMEC plans to continue hosting rate design training courses to help navigate changes in the electric industry and customer expectations.